Leg break may be defined as the ball which pitches between leg and middle stump or pitches on leg or middle or pitches outside the leg stump and turns towards the off stump or outside the off stump i.e in fact it breaks from the line of pitch of the ball (when it hits the pitch) and turns away outside the off stump or towards off stump. Since it always pitches in and around the leg i.e always deals with the leg that’s why it is called as Leg break. And the word Break is used because generally as the ball pitches it goes straight but here in leg break it doesn’t go straight , it pitches on, with seam and suddenly turns away from the leg stump to towards off stump , i.e where the word Break means it. In fact it breaks from the line of pitch of the ball and moves away from that straight line. So therefore this type of bowling is called as Leg Break. A Standard leg break is the ball which is always and always bowled between leg and middle stumps (mostly seen in Test matches). So how to bowl a Leg Break ? The first thing is, it is really difficult to explain Leg Break theoretically but still trying to explain it very clearly and also practically very soon. Now hold the ball across the seam so that the fingers (index and middle) are on the top of the seam (across), the thumb and ring fingers are with the seam nicely gripping the ball. Now bowl it in unorthodox style i.e by reversing your arm and wrist, with the fingers at the time of releasing point. Bowl it in such a way that the arm has to be reversely angled at (135 deg) with respect to the body, the wrist (with palm) has to be angled at 135 or 45 deg with respect to the arm and has to be on left side of the ball, in fact the position of wrist has to be rotated from basic 0 deg position to 45 deg position in such a way that the back of the palm has to face towards you, the middle, index, ring and thumb fingers has to be adjusted in such a way that the ball should rotate in North West direction or towards slip region at the time of releasing point. That means while bowling leg break the middle, index and ring fingers has to play major role in rotating the ball towards North West direction or towards slip direction. So while bowling leg break you can notice very carefully the right arm, the right wrist being on left side of the ball and also the fingers (index and middle) being on left and on top of the seam (across), the thumb and ring finger with the seam at the time of releasing point. Here when you observe the rotation of the ball very carefully after the ball has been released from the hand the ball rotates in North West or Third man direction. You can observe the North West direction of the ball in slow motions very easily. 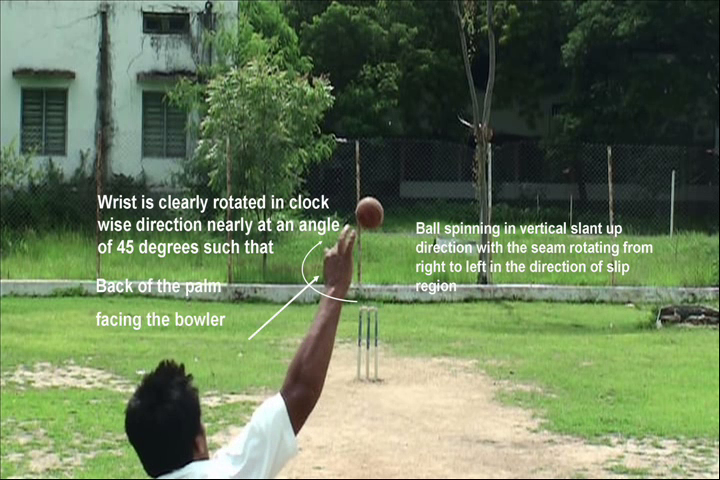 After the ball has released from hand (The ball rotating in North West direction with the seam) pitches on the soil with the seam rotating in North West or third man direction, here comes the concept “Leg Break”, as the seam of the ball rotates in North West direction, this directed North West seam makes the ball to move towards North West or third man direction after hitting the pitch. In fact moves from middle and leg to outside the off stump or towards the stumps. Thereby the “Directed North West seam of the ball” breaks from orthodox direction of line of pitch of the ball and moves to unorthodox direction (slip) that’s why it is called “LEG BREAK”. The speed of the ball is always ranges from 70 kph to 95 kph. The ball is always flighted in air (flight is always key in spin bowling) so that the batsman cannot expect, where the ball hits the deck. The ball should be holded always across the seam for the perfect grip and so that the ball breaks from the line of pitch of the ball and turns away from right handed batsman. 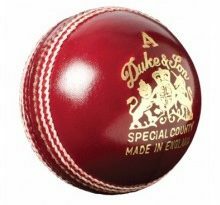 And also if you hold the ball across the seam, after bowling the seam of the ball hits the deck and becomes flexible for the ball to break and moves towards outside the off stump rather than if you hold the ball with the seam. The biggest thing in leg spin is bowling LEG BREAK i.e you have to know the basic leg break bowling. Knowing Top spinners, flippers, shooters are not valuable without knowing the basic LEG BREAK. you need to notify the rough spots on the pitch so that if you pitch the ball there, the ball turns and bounces enormously (These things mostly can be seen in Test matches) . These rough areas are created by both batsman and bowlers. Bowlers after bowling i.e after continuous follow throughs, beyond the crease they will be stepping continuously by default so that rough areas are formed. Similarly the batsman after continuously running between the wickets, the rough areas are formed. You need to spot them and take the advantage from that rough areas to make batsman more difficult to bat. 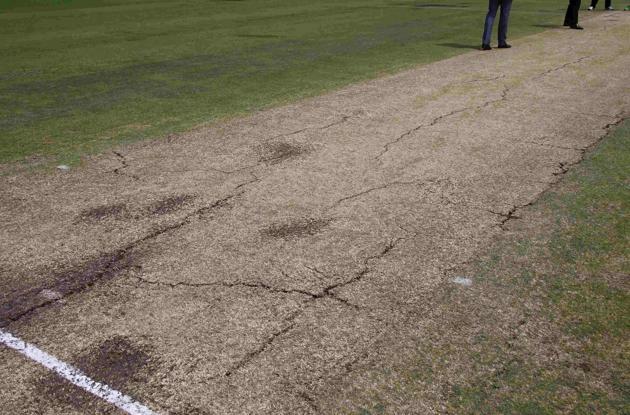 The next thing you need to notify is cracks in the middle of the pitch. You need to bowl on those cracks (mud particles ready to be removed) .The cracks will help you to turn and bounce the ball enormously than normally you bowl. When the ball is bowled on these cracks (mud particles ready to be removed) sometimes you can notify on television sets in slow motions the mud particles jumps in air (splits) then you can see a immediate bounce therefore identify that spot, you can surely get uneven bounce. You need to check out the direction of the wind i.e whether it moves towards NE or SE or NW or SW or E or W directions. So how do you find the direction of the wind ? Its very simple just look at the flags waving on the top of the stadiums you will be knowing the direction and there by you can change your tactics. So why do we use the direction of the wind ? If the speed of the wind is good then the word Drift plays a key role in spin bowling . So how the drift goes on ? The answer is keep the shiny side on left side of the ball, so that you can hold the ball across the seam such that rough side of the ball hides in your palm. Now you bowl the leg spin by spinning little bit harder, it drifts from left to right side (since the shiny side of the ball will be on the right side after releasing it drifts from left to right side) . This drift makes the batsman in dilemma i.e where the ball hits the pitch rather than it should have actually hit the pitch. The more the use of crease, the more you are good bowler. Even if you have skills you need to know how to use your crease then that makes you more better bowler. McGrath while bowling bowls very close to the stumps to get consistency in line and length. If you bowl from the corner of the crease you can beat the batsman, you can make him outside the edge, this can be happened only if you bowl from the basic crease continuously and then suddenly changing to corner of the crease then you can see maximum results. 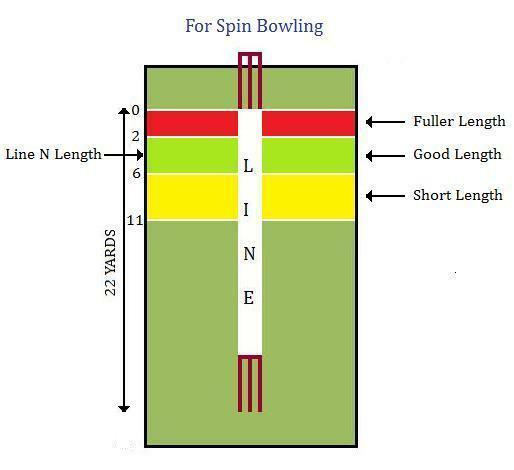 The basic thing of using corner of crease is to create an angle (for the ball) there by creating more turns and also other things such as flipper, googly, Top spinners can be bowled in different ways compared to as you bowl from basic crease point. 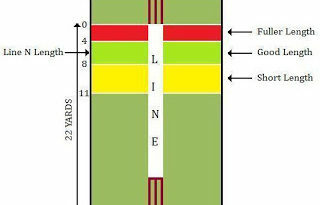 The selection of bowling ends is very important, especially on fast pitches which do not support spin, on those pitches you can spot rough areas, cracks, mud particles (ready to be removed) on one side of the pitch (As we have earlier studied that these rough patches are formed due to continuous bowling of fast bowlers from one end) and may not be found on other end. So this helps you to choose from which end to bowl so that you can use the pitch for more spin, turn, bounce or anything else. In spin bowling we see two types of words leg break and leg spin. we have to understand the concept behind the difference between leg break and leg spin. Leg break bowler is who does spin the ball only on spin favored pitches and not on other pitches such as fast seaming pitches (south Africa, west Indies etc…). These bowlers are mostly finger based spinners rather than the wrist i.e the fingers play a major role in spin rather than wrist (of course wrist plays minor role). As these bowlers are finger based spinners they cannot spin the ball much more on fast seaming pitches rather than wrist spinners. They cannot spin on any surface. They cannot spin more as compared to wrist spinners. But these bowlers can bowl accurately and consistently in good line and length. 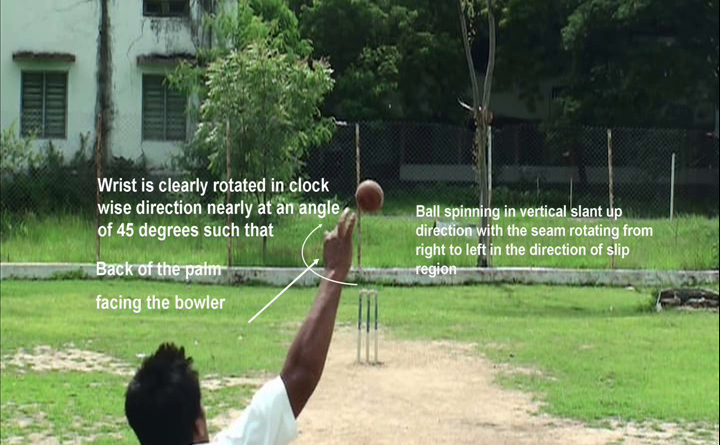 Leg spin bowler is who does spin the ball with his wrist rather than with the fingers i.e the wrist plays a major role in the spin rather than fingers of course fingers plays a minor role. These type of spinners can spin the ball on any kind of pitch may be cement turf, fast seaming pitches (south Africa, Australia) E.g. Shane Warne, Sachin Tendulkar, Laxman Shivaramakrishnan. They can spin it on any surface. They can spin more than compared to finger based spinners (leg break). But these wrist bowlers feel little difficult to bowl accurately in line and length as compared to finger based spinners. Generally for any spin bowling the good length ranges from 2 to 6 yards, but where as for the fast bowlers it ranges from 4 to 8 yards. The simple reason is pace of the spin in fact the speed in understandable language. The speed of the spin (70 to 95 kph) is less compared to fast bowlers (110 to 160 kph) , so what happens here is if you bowl it in between 6 to 8 yards (Good length for Fast Bowlers) with the speed mentioned above, since as the pace is slow it gives ample of time for the batsmen to pull it ,cut or to drive it. Here the significant thing implies is, the speed of the spin doesn’t support the length ranging from 6 to 8 yards and more over becomes more slow before hitting the pitch and even turns , then making the batsmen much easy to cut and pull. From above it is clear that the length for spin bowling above 6 yards is always a short length delivery.